Much mahalo to those of you who helped participate in the Downtown Art Gallery at Sandy Pohl’s developing Downtown Art Center. Those of you who had a chance to come down and participate got a chance to see this new developing retail/exhibition/workshop space, one of a couple of spaces that are being developed in the Chinatown Gateway Plaza. 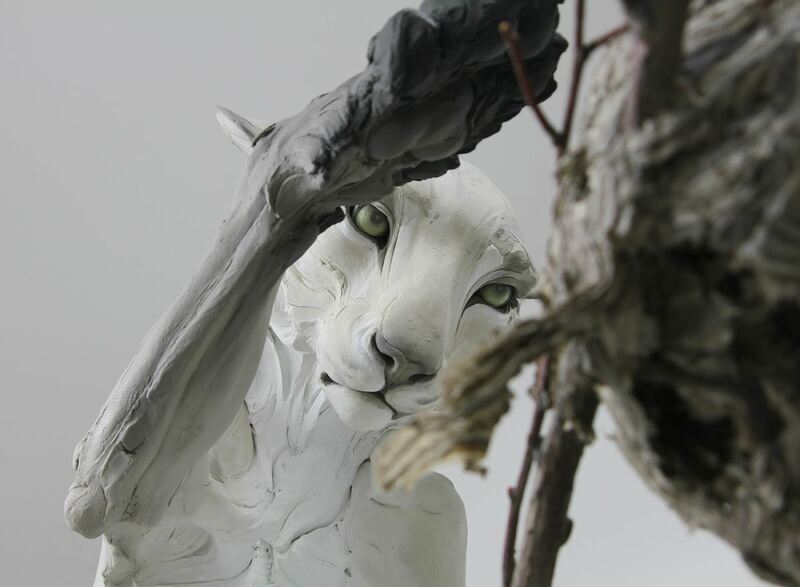 April is shaping up to be a busy one with Beth Cavener arriving on the 11th. There’s still time to sign up to participate in her interactive demo and I am personally very excited to get to see her process. I am also looking forward to seeing you all at the workshops too. If you see me don’t hesitate to introduce yourself. We are excited to introduce a new program called Hawai’i Craftsmen Connect. The program’s focus is connecting our members with sales opportunities in the community and seeks to address the needs of our members to create an economic model out of their passions and the desire of the community to collet works created by local artists. We have begun a trial process with the HiSAM gift store and Mori at the South Shore Market and more recently with the pop up at the Downtown Art Gallery. We’ll keep you posted as we begin to flesh out this program. Four years ago many of you were treated to an Aha Hana Lima workshop featuring Beth Cavener. 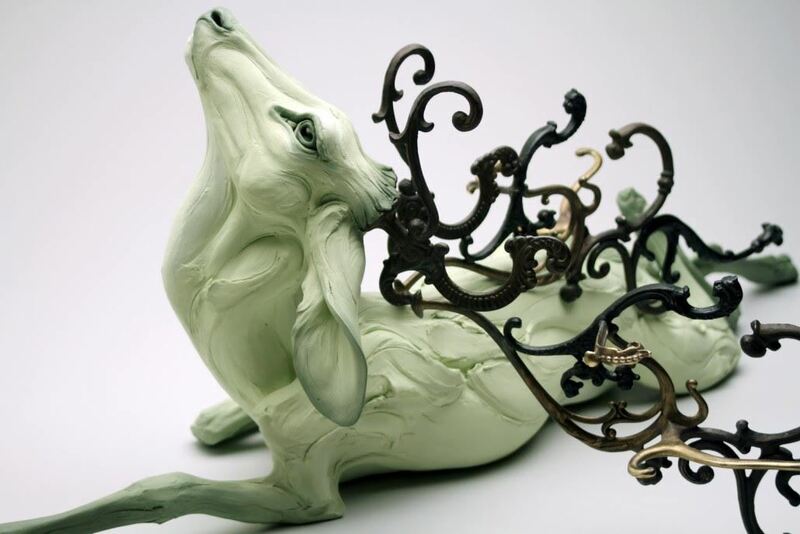 Hawai’i Craftsmen is excited to announce the return of Beth Cavener. In a slight departure from our usual Aha Hana Lima format, Beth will treat Hawai’i artists, collectors, and fans to her wildly popular 3-day interactive demonstration of the process and methodology she uses to create her larger than life ceramic sculptures. Using 600 lbs of clay and 25 feet of half inch pipe Beth will, working with the audience, construct one of her larger than life figures. Beth will also go over in detail from start to finish how she created some of her actual past works, including a 6 foot tall double figure piece constructed over the course of five months. Audience members will have the opportunity to try out some of her techniques as she guides members through a hands on exercise in her methods for sculpting an eye. Beth’s sculptures focus on human psychology, stripped of context and rationalization, and articulated through animal and human forms. On the surface, these figures are simply feral and domestic individuals suspended in a moment of tension. Beneath the surface, they embody the consequences of human fear, apathy, aggression, and misunderstanding. 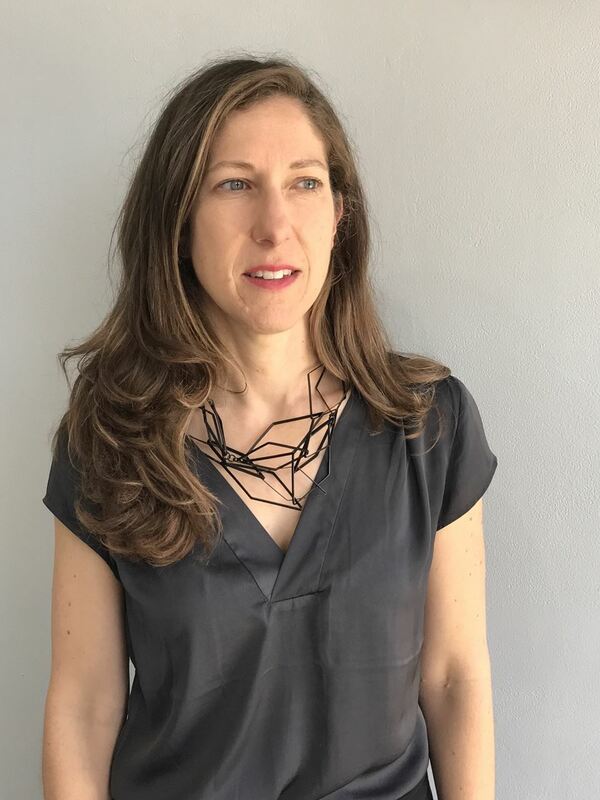 We are EXTREMELY EXCITED to announce that our curator and juror for the 2019 Hawai’i Craftsmen Annual Statewide Exhibition will be Emily Zaiden, director and curator of the Craft in America Center in Los Angeles. The Craft in America Center is an exhibition and learning space that gives voice to traditional and contemporary craft through artist talks, workshops, exhibits and concerts. Craft in America is well known for their Peabody Award-winning series on PBS. This series explores America’s creative spirit through the language and traditions of the handmade, and features the artists, origins and techniques of American craft. Emily Zaiden is Director and curator of the Craft in America Center in Los Angeles, where she has curated more than forty exhibitions focused on contemporary craft and design for the Center and outside venues. Zaiden has published various exhibition catalogues and contributed articles and reviews to publications including; Archives of American Art Journal, Metalsmith, and Antiques and Fine Art. She has lectured on contemporary craft and American and international decorative arts topics at museums and venues across the country including the Los Angeles County Museum of Art, Craft and Folk Art Museum, Milwaukee Art Museum and Fuller Museum. After completing an M.A. at the Winterthur Program in American Material Culture and a B.A. from UC Berkeley in American Studies and Italian, Zaiden served as Research Associate to the Decorative Arts department at the Los Angeles County Museum of Art. Prior to becoming Craft in America Center Director in 2010, she was a research editor for Architectural Digest and she consulted for private collections and institutions focusing on American and European decorative arts, material culture, architecture and design. It will be a pure delight to serve as juror for the 2019 Hawai’i Craftsmen Statewide Exhibition. Thank you for this opportunity to delve into the work of your creative community. Having the all-too-rare chance to jury in person makes this particularly special, as craft can hardly be captured through images alone. As neighbors in the West, since I am a curator based in Los Angeles, I am thrilled to see what’s happening in your neck of the woods. I hope to explore what currently defines craft in your state, especially in terms of technique, skill, design, tradition and expression. At Craft in America, we explore the ever-shifting nature of the handmade across the U.S. and the artists like yourselves who are dedicated to mastery and innovation through materials and processes. How an object can convey cultural identity at any given time is my personal passion, stemming from my roots in American decorative arts history and material culture. I look forward to delving into the qualities that characterize craft on each of your individual islands and the ways that craft embodies the spirit of your community and place in this day and age. 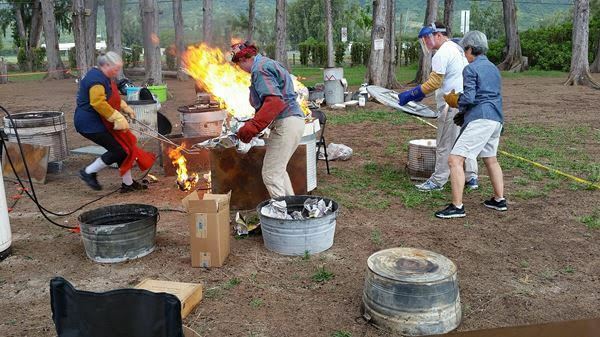 Raku Hoʻolauleʻa, a three-day community workshop, firing and campout to be held at Camp Mokule'ia on Oahu's beautiful North Shore, from noon Thursday, September 19 through noon Sunday, September 22. Art works fired over the weekend will be juried in traditional and contemporary raku categories and awards will be presented in both categories. 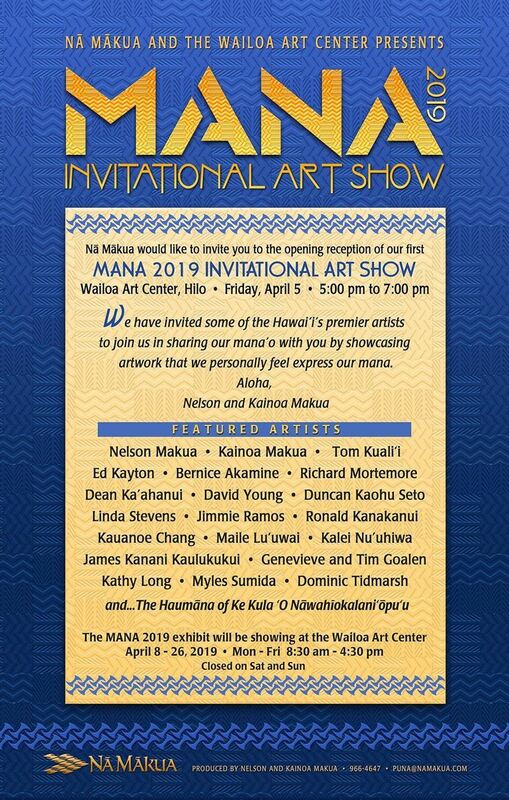 Raku Hoʻolauleʻa exhibition of selected juried art works, at Gallery Iolani at Windward Community College, from Friday, November 8 through Sunday, December 5. Additional activities open to the public will include a tea bowl making workshop, and a demonstration of the traditional Japanese tea ceremony. More details on all Raku Hoʻolauleʻa activities will be posted in the May Hawai`i Craftsmen newsletter. Please note: Hawai`i Craftsmen members are welcome to attend meetings of the Raku Hoʻolauleʻa committee that coordinates the program. Volunteer input and engagement is essential to producing quality program activities that serve Hawai`i Craftsmen members and the community. The next meeting is scheduled at 6:00 pm on Wednesday, April 10 at Kenjo, Inc. (524 Kalihi Street, corner Colburn Street). Is your work in an upcoming exhibit? Do you know of a lecture or event that might be of interest to our membership? Please let us know by sending an email to info@hawaiicraftsmen.org for inclusion in the next newsletter. Through these performance forms stories come to life including the Hindu epics of the Mahabharata and the Ramayana, Buddhist Jataka stories, and the chronicles and well-known Monkey King novel found in Chinese theatre traditions, as well as local folk stories. Indonesian puppetry also tells the arrival of Islam to Indonesia through the story of Amir Hamzah. 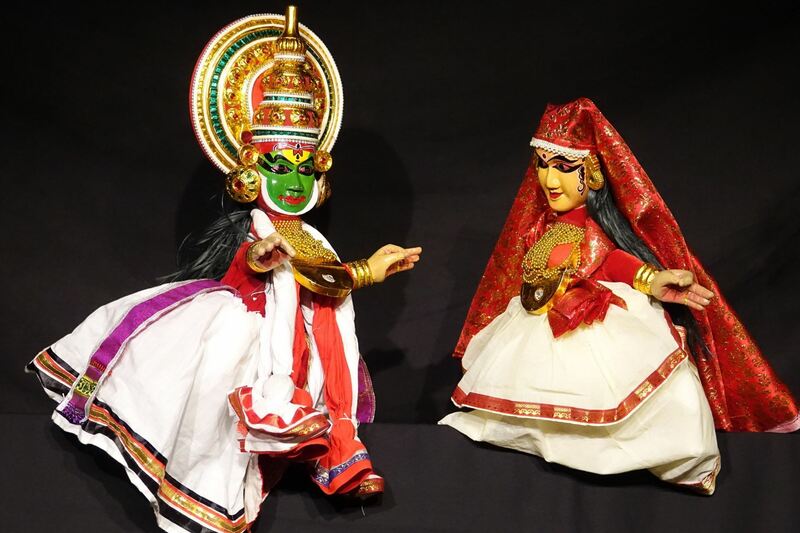 Many of these puppet traditions are historically related to the royal courts, while other performances are derived from village performances. Even with roots in the royal courts, puppet performance is intended for the common people, instilling, re-informing, and enriching their lives with locally-based cultural values and beliefs. Puppet performance in Asia is appreciated and enjoyed by diverse audiences — from children to elders — with entertaining elements ranging from slapstick humor to deep, rich life philosophies and religious teachings. More than 10 unique traditions from India, Sri Lanka, Myanmar, Thailand, Indonesia, Vietnam, China, Taiwan, Korea, and Japan are displayed. To honor our host culture, Hawaiian puppets are featured as well. These performance traditions are a place of intersection — a bridge between the past, present, and future — where the divine and human worlds meet and ancient stories are made relevant for the contemporary experience. Guided exhibition tours are offered Sundays at 3:00 p.m.
Open Weekdays 8:00 a.m.–5:00 p.m. and Sundays Noon–4:00 p.m. When first visiting AmazonSmile, customers are prompted to select a charitable organization from almost one million eligible organizations. In order to browse or shop at AmazonSmile, customers must first select a charitable organization. For eligible purchases at AmazonSmile, the AmazonSmile Foundation will donate 0.5% of the purchase price to the customer’s selected charitable organization. Click the link for more information. This is an easy way to help support Hawai‘i Craftsmen!